ECN brokers work with or source the matching orders for their clients from what is known as the tier-1 liquidity providers. These are the big banks, large financial institutions, investment houses, hedge funds. They comprise what is known as the interbank forex market. They may offer the best currency rates but the minimum trading transactions are in volumes which are way more than what ordinary individual traders can afford to trade. On top of that, one needs to have an established credit line to be able to trade with them and take advantage of their rates. This in effect shuts out the small market players and retail forex traders from trading with them. This is where an ECN Broker comes in. They serve as the bridge between the tier-1 liquidity players and the smaller market participants. These brokers have set up linkages with tier-1 liquidity providers using a technology called FIX Protocol or Financial Information Exchange Protocol which effectively delivers orders coming from their clients for execution by the liquidity providers. In short, these brokers provide the small market participants direct access to the exclusive interbank rates as the quotes they provide come directly from the liquidity providers. What links the participants together is the Electronic Communication Network which incorporates a program that automatically executes order matching and publishing them in real time. When orders come into the network, they are matched with an opposite order of the same volume while the unmatched orders are published so that other networks may enter their matching orders. You need to realize that you are not trading directly with the network itself. You are also not dealing with a single entity. You are dealing with several liquidity providers and you will never know who matches your order and neither will they know from whom a particular order is coming from. 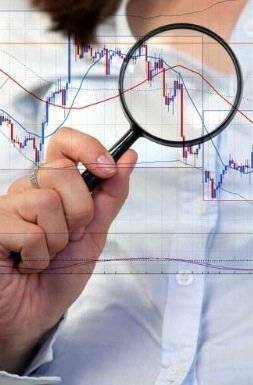 The system simply matches orders of the same volume automatically and unmatched orders are published giving you a better insight on market depth as you will get to know all the pending buy and sell orders, the volume of each, and the targeted prices on which these pending orders are to be executed. Trading with an Electronic Communications Network Broker is totally anonymous. There is no bias or conflict of interest as the brokers are not market makers and they do not earn their keep from the spread. Instead, they charge a small commission on every trade they process. There is no dealing desk or re-quotes to worry about too as the orders are executed instantly. The ideal business model for an ECN broker utilizes Straight Through Processing where all orders placed through them are passed on to the pool of liquidity providers for immediate execution. With multiple liquidity providers, orders are guaranteed to be executed immediately and at the best possible rates even during volatile markets. A price aggregator or a similar program is normally used to scan the network for all buy and sell orders entering the system, and automatically matches them with offers from the liquidity providers. This article is written by FXCC Forex broker, FXCC blogs regularly on FXCC forex trading blog about Forex Trading and Forex Market.